However, its focus extends beyond its appearance. We felt that the highly complete and clear flavor aims to satisfy many people more than the appearance does. We want women, seniors, and foreigners to enjoy it too. This ramen represents Tokyo. This restaurant is pleasant and unmistakably female friendly to the point where you want to classify it as a café. Located right behind GINZA SIX, the restaurant has a modern, inviting appearance. 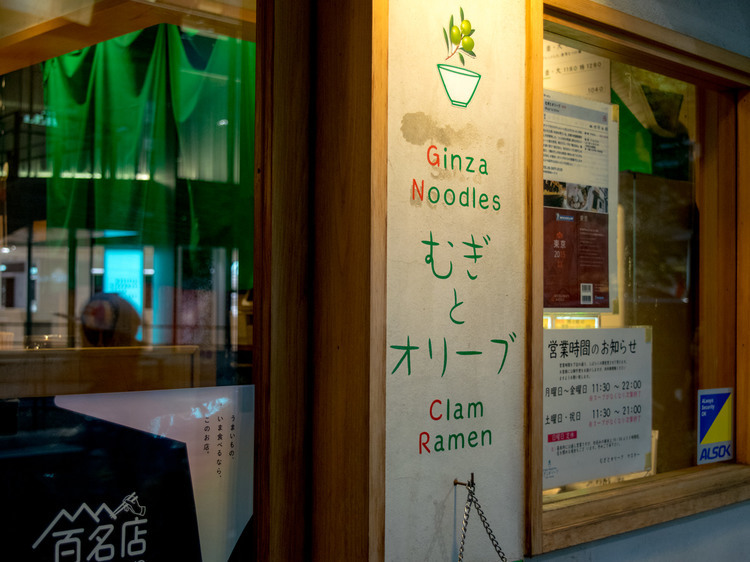 The basic menu contains the hamaguri clam-based hamaguri clam soba, the chicken broth-based chicken soba, and the chicken broth, hamaguri clam, and dried sardine-based triple soba. The perfectly clear smoothness and elegance are common across all three. The base of the soup is created by stewing chicken for over 6 hours. Even after adding seafood for the hamaguri clam soba and dried sardines for the triple soba, you cannot sense the unique smell of seafood nor any harshness at all. We have heard that the shopkeeper has roots in Western cuisine , so we are sure that this unique yet universally recommended flavor was born as a result of applying this background and adding hamaguri clams and other Japanese ingredients to ramen, which is a dish with roots in China. 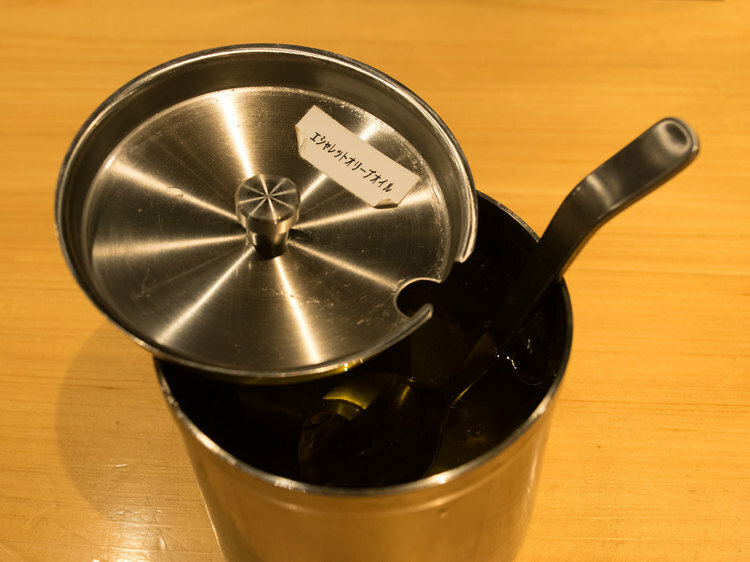 By the way, olives, which are even included in the name of the restaurant, play a major role in this restaurant’s flavor. The ramen, which is completed healthily with olive oil, receives strong support from females as well. The flavor is not overpowering at all, but is accepted by many people. We believe that this flavor is expanding the range of ramen in Tokyo.